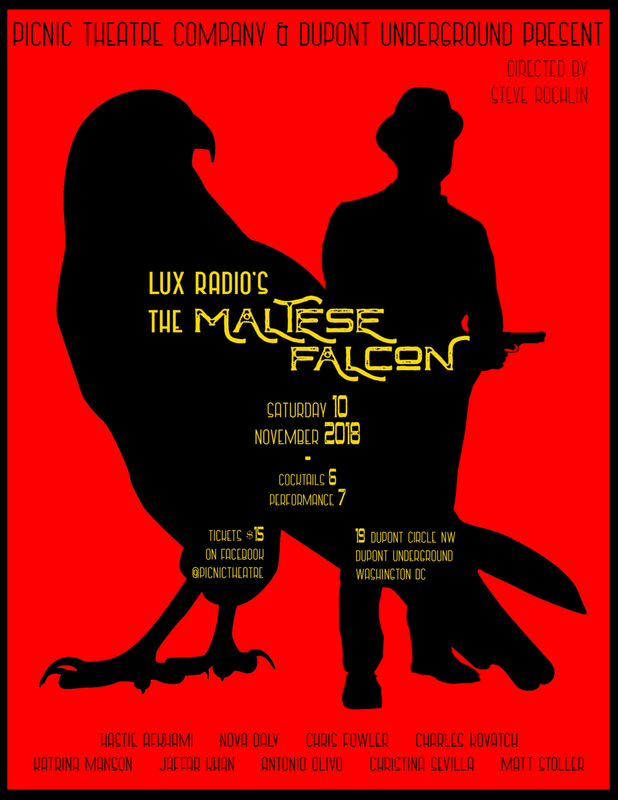 On Saturday November 10 join Picnic Theatre Company at Dupont Underground for an evening of campy suspense with a one act performance of the 1940s film noir classic, Lux Radio's The Maltese Falcon! Hard-boiled private detective Sam Spade meets a mysterious femme fatale and a gang of unscrupulous adventurers competing to possess the priceless object of their dreams. Cocktails and refreshments 7pm, one-act performance 7:30 pm.